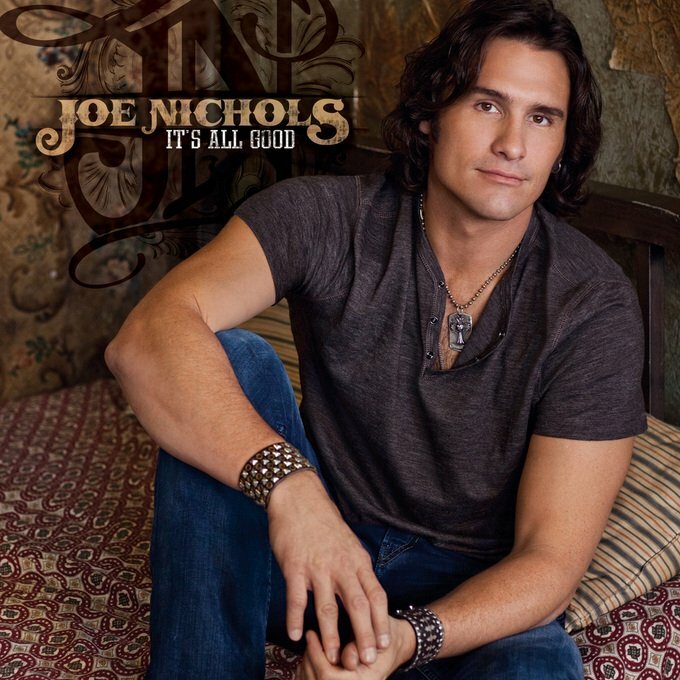 Anytime you're listening to a Joe Nichols CD, you can say with confidence, It's All Good, and his latest project will have you thinking exactly that. Nichols often refers to “the true heroes in country music” and once again, the annointed son and heir apparent, according to those very same legendary heroes (Haggard and Jones), delivers what they, and his fans, have come to expect from him. This album illustrates that the future of country music is in good hands when in Nichols-land. The first track on the album is “Take It Off.” As the first single released, this catchy, up-tempo, tune with its cleverly written lyrics, not surprisingly, quickly climbed the charts and the video hits rapidly exceeded a million. There are several toe-tappers on this project, in fact, seven of the ten tracks are upbeat, but the album is, in the spirit of all great country music, a sweet balance between happiness and melancholy. The list of songwriters who contributed to this project are an impressive mix who have written great songs for everybody from Gary Allan to Chely Wright and everyone in between. That explains the unique new feel they are able to put on some pretty classic country material. “Never Gonna Get Enough” just might have the best hook and it's supported by such an easy flowin', feel-good, melody that you'll be humming it long after the cd ends, however, it's the title cut that is definitely one of my favorite tracks. This is a lively two-stepper with wonderful sing along lyrics, supported by twin fiddles and sweet peddle steel. The way Nichols voice glides through this song, from first note to last, well, It's All Good just might be an understatement. Dan Tyminski and Alison Krauss joined with Nichols to deliver the vocals on “I Can't Take My Eyes Off You”, and “Somebody's Mama,” a lyrically sweet tribute to an old flame, earned both songs a spot on my most notable cuts list. Although I was gliding right along to the two-steppin' tunes, it wasn't until the tempo slowed down that I really got lost in the music. “She's Just Like That,” written by Thomas Rhett Akins, Tyler Farr and Jaron Boyer, has mesmerizing instrumentals that support euphonic and memorable lyrics: “She likes daisies over diamonds / You oughta see her face when I bring ‘em home / She spends most her mornin’ talkin’ to Jesus / And at night it’s wine and an old Keith Whitley song / Yeah, she makes me sing along” and I'm pretty sure you just might find yourself singing along. The final cut, written by Rivers Rutherford and Tim James, is certain to touch a chord with a lot of people and although the lyrics are quite profound, they are delivered with such musical finesse that you just might find yourself creating your own ultimate bucket list. Nichols says, “It's a more introspective song about the turnaround of a life because of a girl. It's very much like me – you take the last ten years of my life, it pretty much sums it up in a song. It's the way I look at life these days.” “Takin’ it nice and slow / Ridin’ the tide with you right by my side sittin’ close / With a Cuban cigar, a beat up guitar / Listenin’ to you harmonize on a song I just wrote / Every note - That’s how I wanna go.” By the end of this song, I decided that, except for the cigar, this just might be “How I Wanna Go” too. If you are looking for a musical lift, look no further than It's All Good.